Ricardo Langner, Tom Horak, Raimund Dachselt. 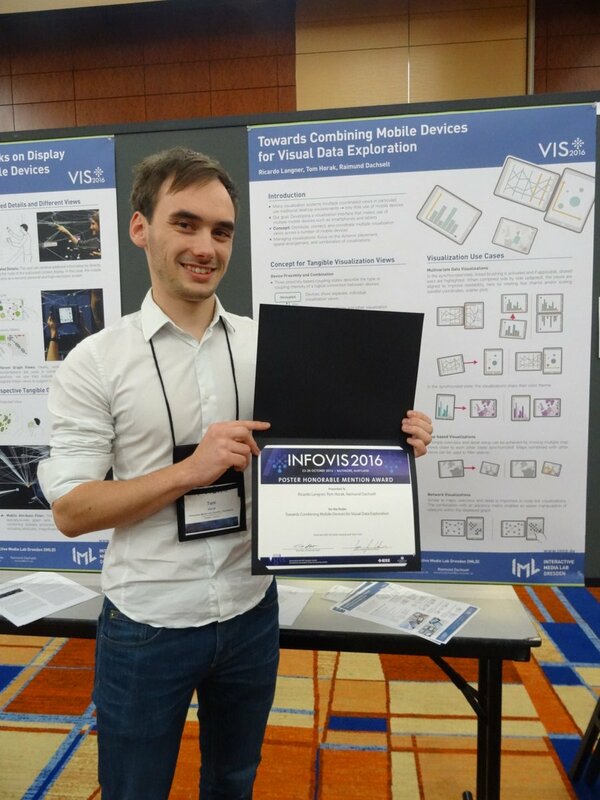 In: Poster Program of the 2016 IEEE Conference on Information Visualization (InfoVis). 2016. We present a concept for tangible visualization views using colocated, spatially-aware mobile devices. The proposed concept takes advantage of ad-hoc device combinations and spatial arrangements, allowing users to interact with multiple coordinated visualization views distributed across mobile displays. In this work, we describe the basics of this concept and illustrate the potential of our approach by describing and implementing use cases of various visualization techniques. 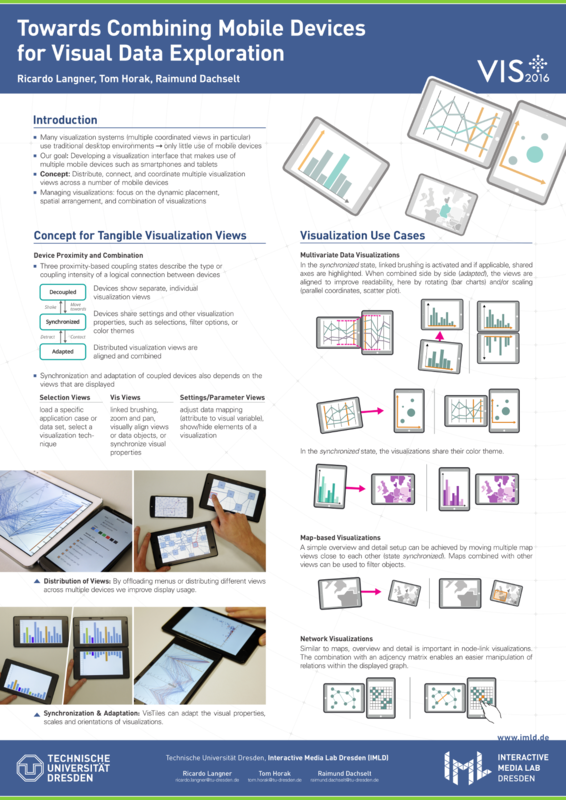 As a follow-up of this poster, we have published the full paper VisTiles: Coordinating and Combining Co-located Mobile Devices for Visual Data Exploration at the IEEE VIS 2017. For more information on this project, see also the project page: imld.de/vistiles. We are really happy and proud that we have received an honorable mention for this work! Our video from the fast-forward session at the IEEE VIS conference can be found on vimeo.